Istria does not drive attention with its coastal region with string of beautiful coves and historical towns only. Village homesteads, hilly landscape with valleys and hummocks, curvy roads, fortified towns on hilltops create fantasy like image of countryside of this Croatian peninsula, which is called Green Istria. 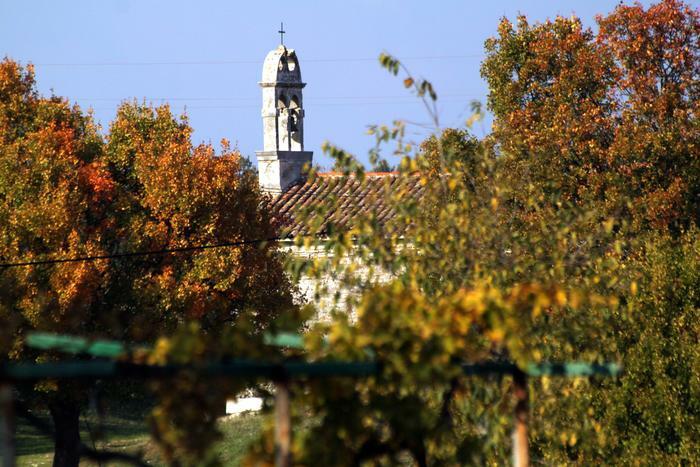 One of the prominent characteristics of Green Istria are carefully managed village homesteads with rich gastronomic offer of original local dishes. The charm of Green Istria has been recognized by British web site Home Away Holiday Rentals. “Mala kopa” house, situated in Istrian village Koromani, has been pronounced as the fifth most romantic house in the world. Built at the end of 19th century, it was used as a sheep stable and today it has been transformed into a picturesque house with pool that has kept its originality which has been blended with modern characteristics. Its name - Mala Kopa – means a little stack of hay, telling of the past life of the agricultural Istria.